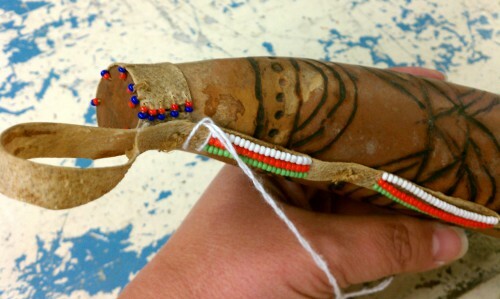 One of recent auction finds, a beaded Chippewa or Ojibwa gourd canteen from the former museum in Two Harbors, MN. 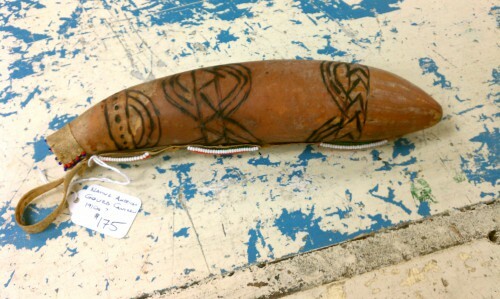 It’s now in our case at Exit 55 Antiques. 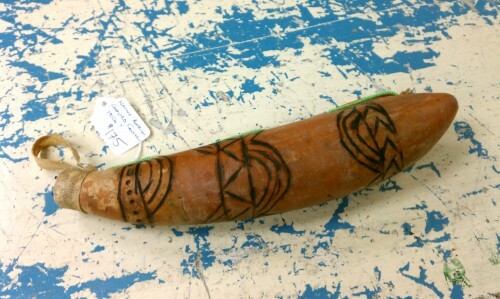 One Response to "Antique Native American Gourd Canteen"